Scott Tremor is a mammalogist at the San Diego Natural History Museum. 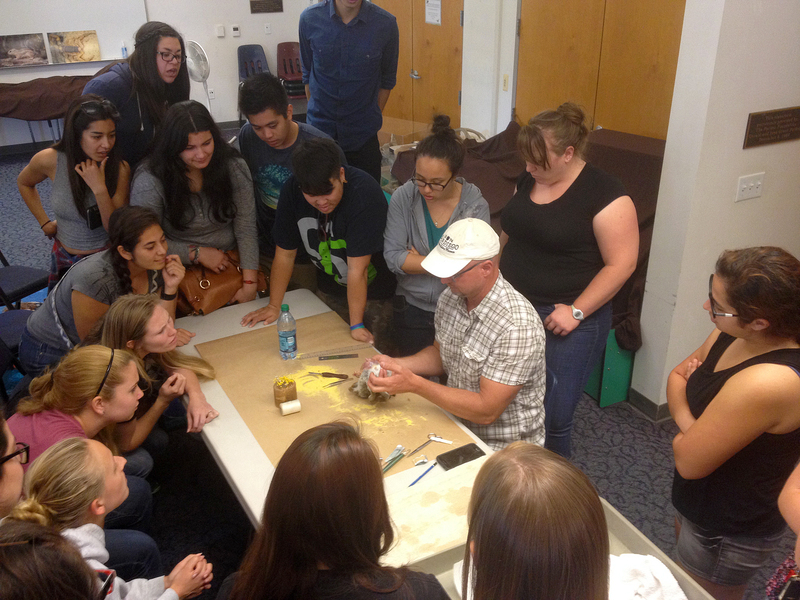 This semester he was kind enough to host the SDSU Mammalogy course at the museum, showcasing the Nat Mammal collections, and demonstrating a mammal specimen prep. 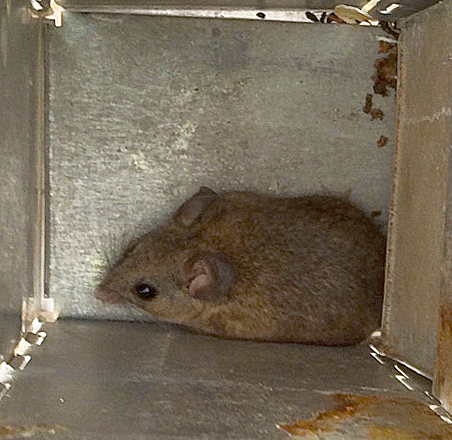 Scott also led two separate small mammal trapping events at Mission Trails Regional Park. Here students gained valuable, hands on field experience. Thanks Scott for providing these excellent learning experiences and for inspiring SDSU students! I’ve been wanting to share SDSU & Hedin lab specimen data online for quite some time. For at least 10 years. Working in a small museum, without IT support, has hampered these efforts. 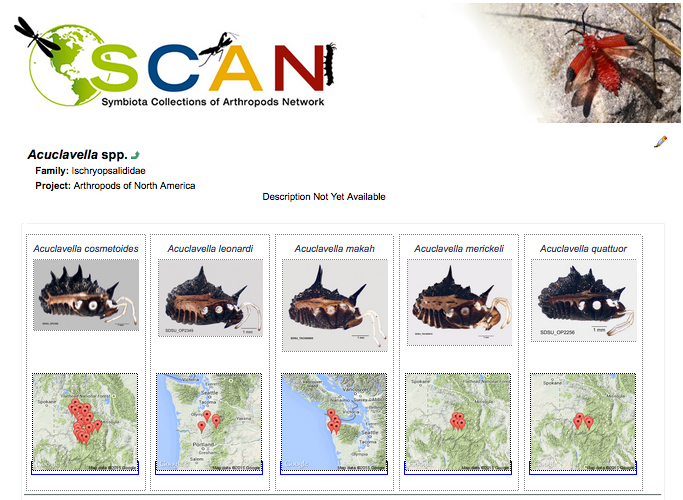 I’ve finally taken the initiative to join SCAN, the Symbiota Collections of Arthropods Network. The IT folks at SCAN have been wonderfully supportive in providing a place for the SDSU Terrestrial Arthropods collection data. Our general plan is to start with harvestmen, then include spiders, then the TAC insects. In addition to “clean”, high-quality georeferenced specimen data, we’ll also be including nice digital images. I’m thankful to the graduate students and undergrads who are helping me in this effort. If you’re interested, go to the SCAN portal (link above), “Search Collections” (e.g., by species name, higher taxon, common name, etc), then be amazed with the excellent maps, data, and images available. Powerful stuff with unlimited potential. 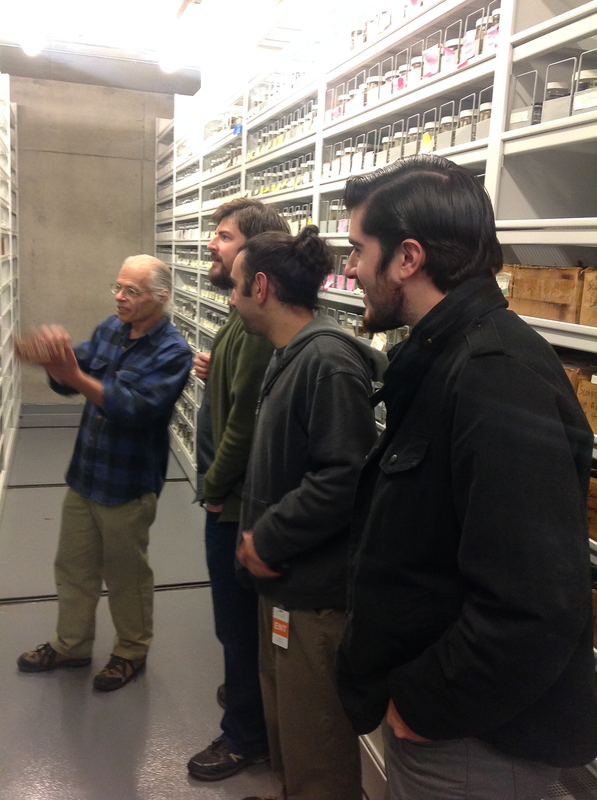 A few members of the Hedin lab recently traveled to the CAS to learn harvestmen morphology “tricks of the trade” from Darrell Ubick, Senior Curatorial Assistant at the CAS. 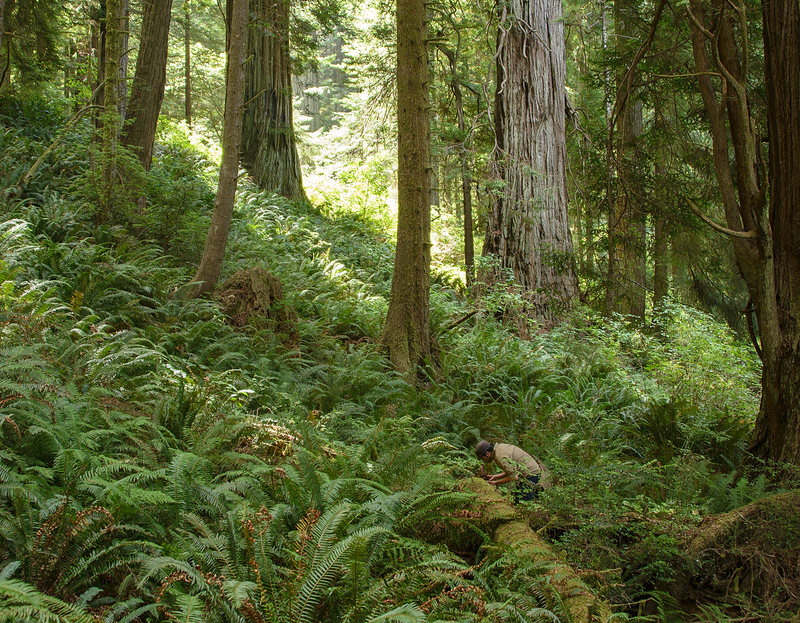 Darrell is world renowned for his expertise on the morphology and taxonomy of North American laniatores harvestmen. Thanks to Darrell for his kindness & insight, helping to inspire and educate the next generation of harvestmen researchers. Like kids in a candy store we were also able to examine and loan a fair number of important CAS specimens. Vic Smith was also kind enough to show us some of his methods for whole-animal digital imaging. And thanks to Charles Griswold for helping to facilitate this visit! 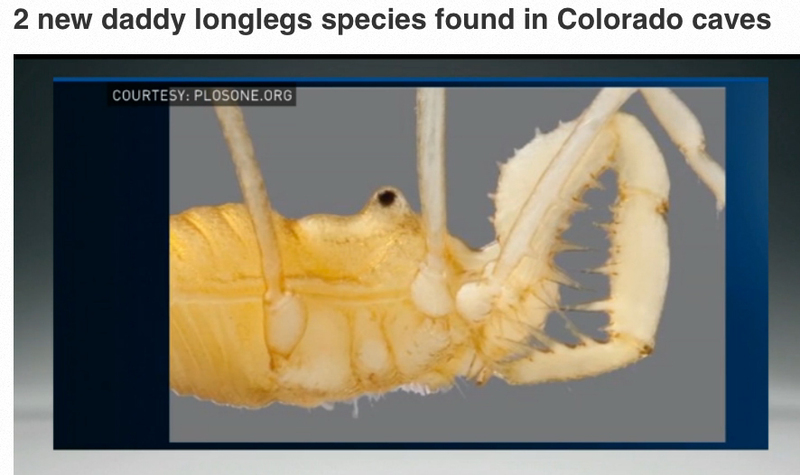 Included below are two videos that detail i) extracting Laniatores genitalia, and ii) Specimen prep for the SEM. Allan Cabrero wins Best Student Talk Award at ESA! 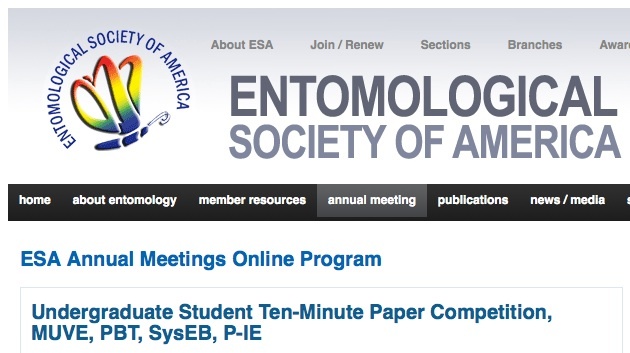 Allan takes home second place in UG TMP SysEB competition, based on summer robber fly research. Nice work Allan! !